In medium bowl, beat condensed milk, coconut milk and coconut extract with wire whisk until well blended. Stir in chocolate. Spoon mixture evenly into paper cups. Cover tops of cups with foil. With knife, make small slit in center of foil and slide craft stick through hole. Freeze 3 hours or until firm. To serve, remove foil; peel paper cups off pops. 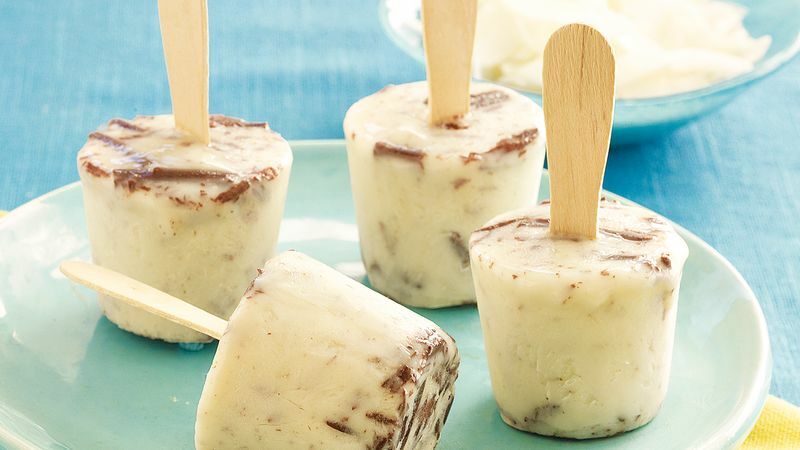 If you have ice pop molds, you can use them instead of paper cups. Mold sizes vary, so you may end up with more or fewer pops from this recipe.